For those that are looking for a great career path in a field where they can always find a job, be well compensated, receive great benefits, and help make the world a better place, getting a bachelors degree in criminal justice could be a great option. For those that have a bachelor’s degree in criminal justice, education could continue to be furthered by getting a masters degree. Those that have bachelors will find that the time and cost of getting a masters degree could be beneficial for a number of different reasons. 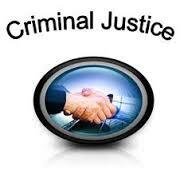 One of the main advantages of getting a masters degree in criminal justice is that it could lead to an immediate and dramatic increase in compensation. Many public criminal justice jobs, including police officers and federal agents, will be able to qualify for an immediate bump in pay when they get a masters degree in criminal justice or a related field. This bump in compensation will then also lead to higher retirement benefits as well. An added benefit for many people that work in public positions is that much of the money spent on the degree will be reimbursed by the local government. Beyond making more money immediately, another advantage of getting a higher level of education is that it could lead to far more professional opportunities down the road. Those that choose to get a masters degree will qualify for positions in a more organizations and will also qualify for higher level positions as well. In many cases, people that are looking to get a better job in the FBI, CIA, or other government organization will need to have a master’s degree to even qualify. Those that are looking for a job in management or administration will also need to have a higher level of education as well. Beyond earning more money and having more professional opportunities, getting a masters degree in criminal justice is also beneficial as it could provide valuable knowledge that would not be learned while working on the job. While getting your degree, you will spend a lot of time in the classroom learning new laws, way to apply the laws, how to handle specific legal situations and other factors that could make you a better employee and more effective at your job. Beyond the benefits, you should also understand that the time and financial costs of getting a masters degree in criminal justice do not have to be too significant. There are plenty of graduate programs that can be completed online or through traditional schools that offer classes at convenient times and are affordable to take. This will allow you to fit your class work into your professional schedule and will help you to avoid going into debt while getting the degree. In conclusion, pursuing a career in criminal justice could be a great option. While there are plenty of benefits that come with simply having a bachelor’s degree, those that choose to pursue a master’s degree in the future will find that there are a number of different benefits that come with having the higher degree. Here is a look at the “Criminal Justice Career Guide“.